Amid a number of recent announcements from Callaway Golf, one that may have flown under the radar was that of the brand’s decision to partner with GE Additive’s AddWorks team. Who are these people, we hear you ask? 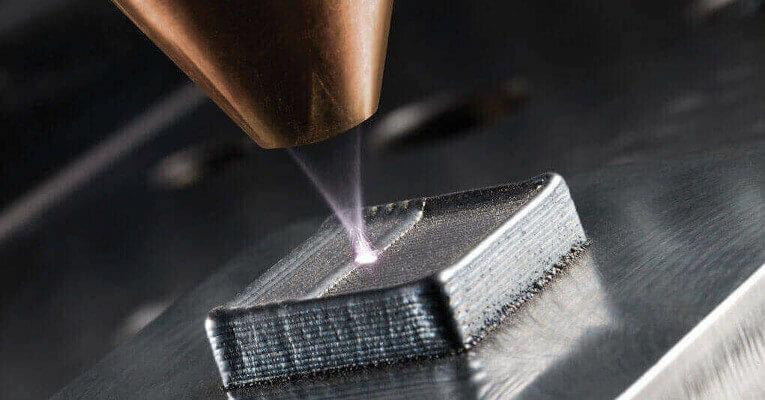 As the name suggests, they are specialists in additive manufacturing (AM) technology, tailored to a broad cross-section of industries, with a particular focus on disruptive, innovative design. And why would Callaway be interested? Essentially the two parties have entered into a consultancy arrangement, leveraging GE Additive’s expertise and high-tech equipment in the field of 3D printing. And it hasn’t taken long for this alliance to bear fruit either, with Callaway launching its new, redesigned Odyssey R-Ball Prototype putter head. The original Odyssey R-Ball Prototype putter was manufactured in Japan as a tour preferred model. However, Callaway identified the acoustics of the putter as being exclusively synonymous with the local Japanese market, so the intention was to incorporate AM and 3D printing as part of adjusting the acoustic signature, without hurting performance or changing the design. Callaway has revealed some detail as to the process behind this. They added geometry into the putter head to improve the acoustics – something which wouldn’t have been do-able using established casting methods. From what we can gather, it wasn’t about re-inventing the wheel; rather about using additive manufacturing to enhance a design which has already proved to be a success. The result is something which may not look like much from the exterior, but it blazes a new trail for golf club production methods in a competitive market where even marginal gains are hard to come by. The new design also cements Callaway’s place as an early adopter in the field of AM within the golf industry. The company joined forces with Titomic in May – an Australian-based company who agreed to provide their additive manufacturing expertise to help Callaway with the 3D print of “novel” golf products. Titomic’s specialty lies within titanium products specifically, but we understand the year-long contract between the two companies isn’t just about coming up with new products. For Callaway, it’s part of a wider plan to determine the extent to which AM will be the next major disruptor within the realm of golf equipment. Callaway has also confirmed that it isn’t just additive manufacturing which is part of their R&D strategy. The emphasis of their strategy moving forward thus seems pretty clear: innovation, innovation, innovation. And learn they certainly have. Working with the AddWorks team has given Callaway’s engineers a unique glimpse of different additive manufacturing technologies, testing protocols, the process of material selection and meeting complex, key metrics in a non-labour intensive manner. Understandably, it also puts Callaway in pole position to investigate which other forms of equipment besides putters could be better optimized by AM technology. “In terms of innovation and technology leadership in their sector, Callaway stands head and shoulders above the rest. This project has allowed us to add value to Callaway’s business goals,” beamed Chris Schuppe, general manager, AddWorks, GE Additive. “We’re also taking away many new learnings from our first project together, especially around aesthetics. It may all sound a bit hocus pocus, but getting ahead of the technological curve invariably involves a combination of a leap of faith, and some serious investment in R&D. On this front, Callaway are out on their own in the golf equipment industry. It remains rather vague as to what we can expect such ventures to produce in terms of tangible products over the months and years ahead. But it seems as though a new normal, which has the opportunity to provide distinct, customizable benefits to both amateurs and professionals, is on its way. And Callaway could well leave its nearest rivals in their wake if it does.